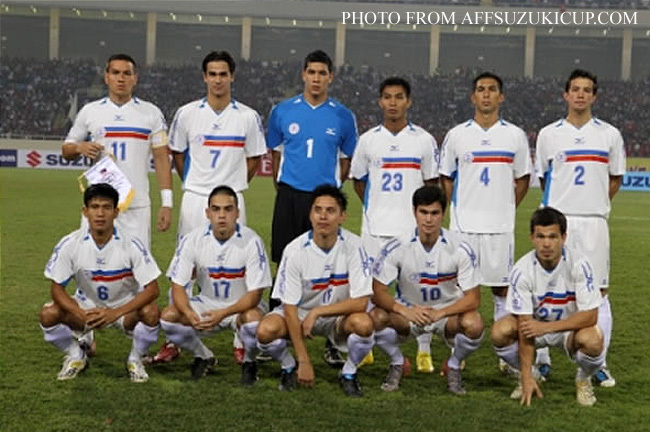 The final 22-man Philippine squad for submission to the organisers of the 2012 AFF Suzuki Cup has been released via the Azkals National Football Team web site. Goalkeeper Neil Etheridge, recalled back to his parent club Fulham FC after a loan spell at English League 2 side Bristol Rovers, and Stephan Schröck of the Bündesliga club Hoffenheim are the most notable among the absentees. Roland Müller, who plays for MSV Duisburg in the second tier of the German Bündesliga, is surprisingly included in the line-up. The final line-up is due to be submitted during the managers’ meeting later today. The absence of Etheridge and Schröck notwithstanding, the Philippines still fields a formidable line-up in the very same competition that sparked the revival of interest in football in the country back in 2010. Dropped from the original 22-man squad that flew to Bangkok earlier this week were Ian Araneta, Misagh Bahadoran, Joshua Beloya, Anto Gonzales and Nestorio Margarse Jr. The Philippines play their opening match of the competition this Saturday against tournament co-hosts Thailand at the Rajamangala Stadium in Bangkok.